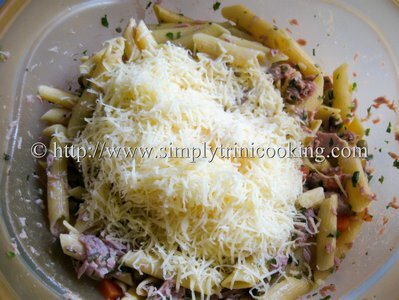 Here is a tuna casserole dish that everybody could make and enjoy, even for any special event or occasion. This recipe is simple because most of the cooking is done in the oven. 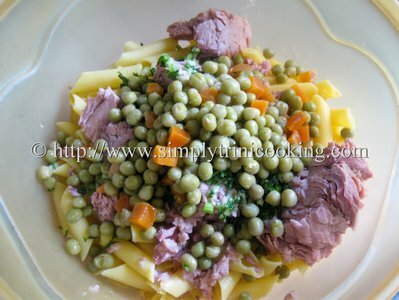 So, go ahead and impress your other half and surprise the children with a tasty, easy to serve, one-pot meal. One thing I like about casserole dishes is the ease and short time needed to prepare it. 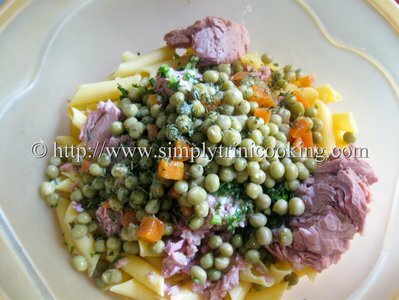 You can also add some vegetables to the dish to help make the casserole dish tastier and healthier. Since casserole dishes allow for flexibility, you are also free to choose the size and shape of dish. I’ve heard that you can even bake your ingredients in a number of ramekins. Since I am speaking about the dish you will be interested to know that casserole dishes were originally earthenware dishes. Today, casserole dishes come in ceramic and glass (or pyrex). These dishes are easy to clean, and are thus ideal for this type of baking. This helped make casserole a well loved dish. Casserole dishes first began in Europe, but its popularity was spread by Americans and the invention of the oven. People loved to experimented with different types of casserole dishes, this is why we have so many different types of casserole dishes today. As a matter of fact, this has lead to the many different types of casseroles that go under different names. Some of these are gratins, pies, puddings, pilafs, royales, bakes, and medleys. Just think of how busy people have been coming up with these different types of casseroles. Now the term casserole should not be confusing anymore. It is this love of casseroles that have motivated me develop one that could easy to cook, but tasty. Now, today we have a casserole; not just a casserole, but a Tuna Casserole. How has this delicious dish come to be? Well, I must say my skill and palate help me put this one together to reflect our way of cooking. 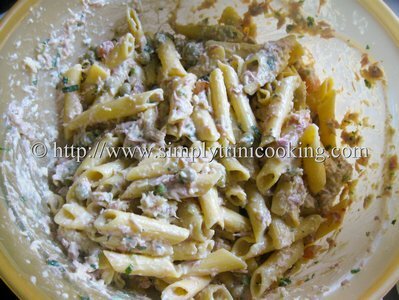 For one this recipe uses gluten free pasta (corn). 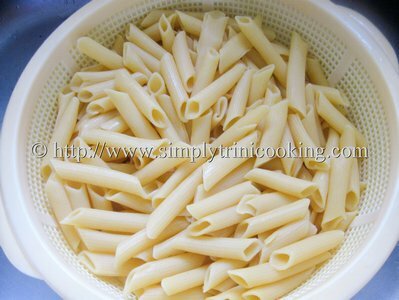 If you are using this type of pasta make sure you cook it well before you add the rest of the ingredients. 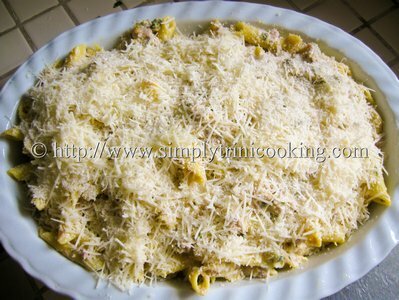 I found Parmesan cheese made this tuna casserole tasty. 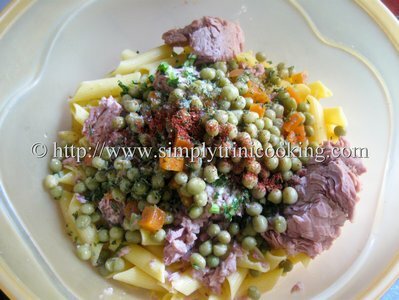 The ingredients you use should be fresh to ensure the casserole does not overcook. 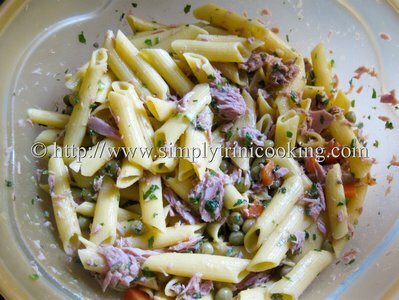 I know you will like this simple Tuna Casserole recipe. Most people love meals like this, so you are encouraged to share with us your recipe for any casserole dish you like. Note: Be sure to boil the pasta properly. 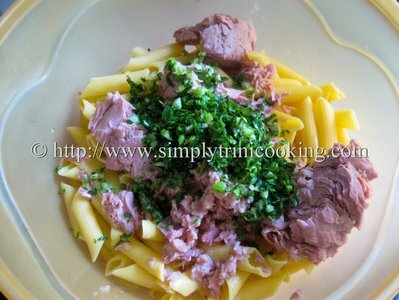 Add the tuna, and the rest of the ingredients… egg, chadon beni, paprika etc. Toss the ingredients lightly and…. Mix well before placing in the oven. 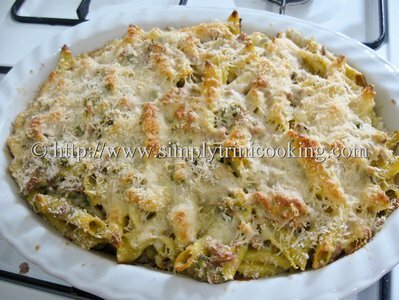 Pour in a casserole dish and top with grated Parmesan cheese and Panko bread crumbs. Note: I used the Panko bread crumbs to create a bit of a crunchy crust… just me playing around with textures lol! The crumbs are optional. Bake for about 30 minutes or until golden in a 350 degrees F oven. Remove and serve cool. So there you have it a simple one pot err..one dish meal that everyone can enjoy. 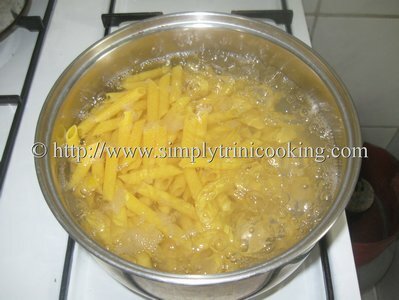 Of course the trini food talk continues over at the fanpage or group. 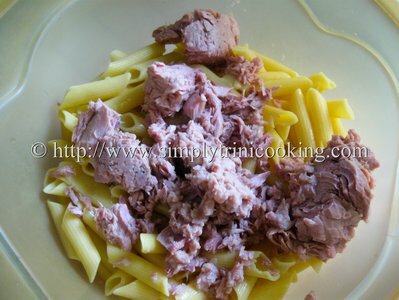 Do you have a unique tuna casserole recipe you wish to try? 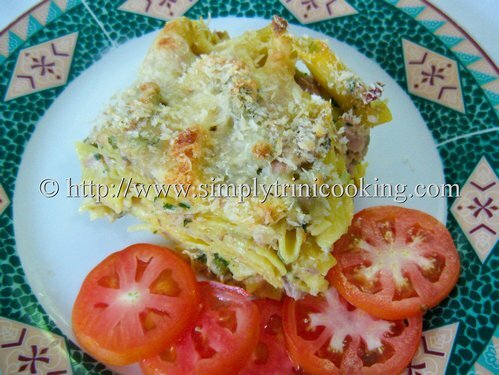 Share your tuna casserole recipe in the group forum. I made it today 10/21/12 It was delicious. Thank you for the recipe. Made the Tuna Casserole recipe this weekend. Great success! Could not find Panko so used crushed whole wheat Crix. Thanks Felix.